The first real subsea control valve on the market. The excellent control characteristics enable the possibilities for subsea processing. The preferred solution for subsea anti-surge protection and subsea separator control. 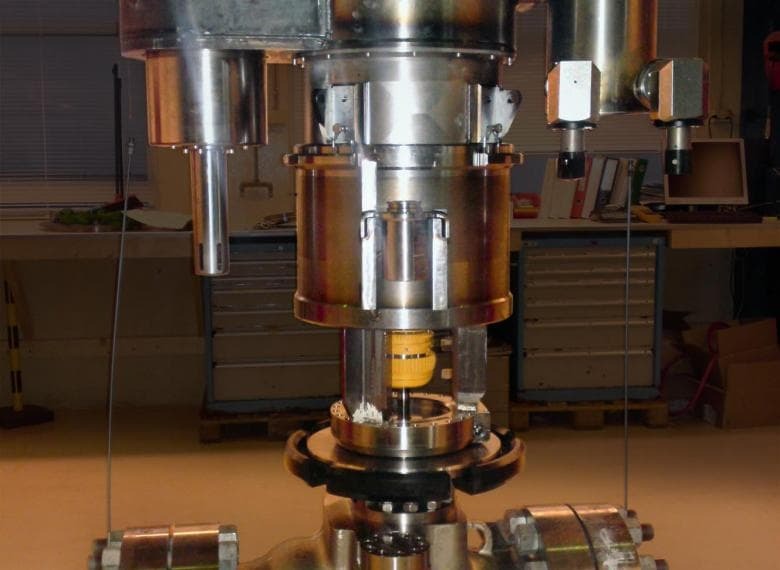 Successful qualification of components, compliance to PR2 testing, 500.000 stroke endurance testing without stem seal leakage, hyperbaric testing. Streamlined flow path through full-port expanded body avoids turbulence and prevents erosion and vibration. Suitable for unclean process medium. As a standard supplied including Tungsten Carbide trim for ultimate reliability. 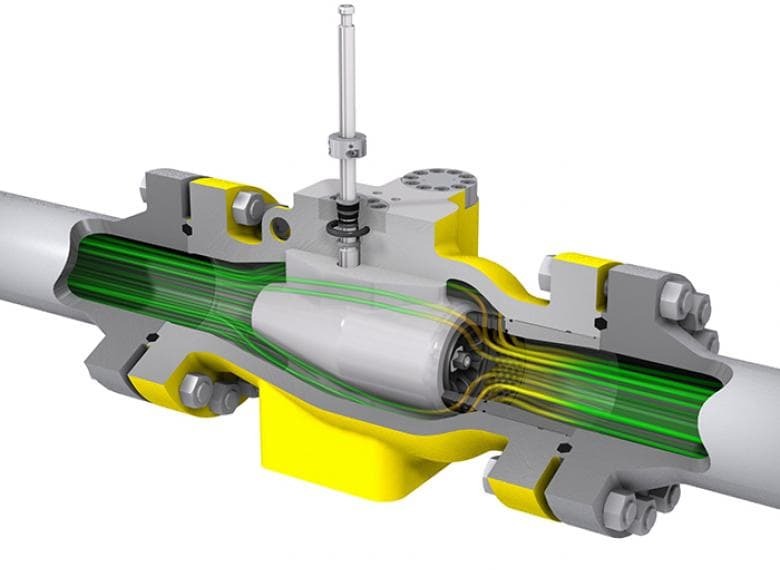 Fast stroking and accurate control is possible due to the pressure balanced piston rod. Especially suitable for anti-surge applications. The inherent capacity of the axial valve is very high compared to conventional control valves and enables the selection of a smaller valve size. The valve is suitable for a variety of linear subsea actuators. Designed for automatic operation with hydraulic or electric subsea actuators. Mokveld's subsea axial control valve. 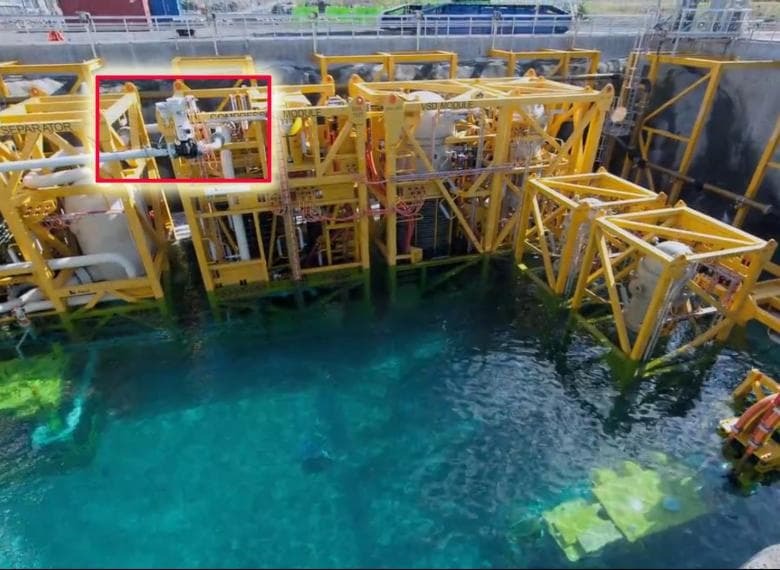 Mokveld’s subsea anti surge control valve on Åsgard subsea compression project. Photo: Statoil / Aker Solutions. Click here for the full video. Custom-designed valve trim for each unique control application. Suitable for applications that require a high turndown.